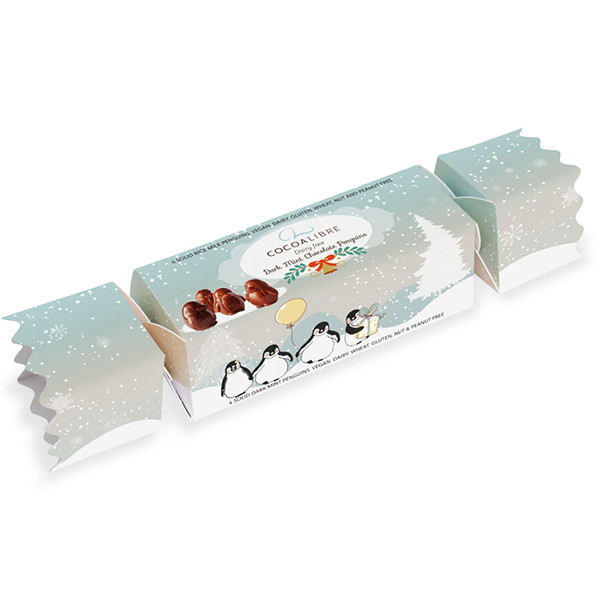 Four extremely cute and chunky penguins in delicious dairy free, dark mint chocolate, in a gorgeous, fun cracker! 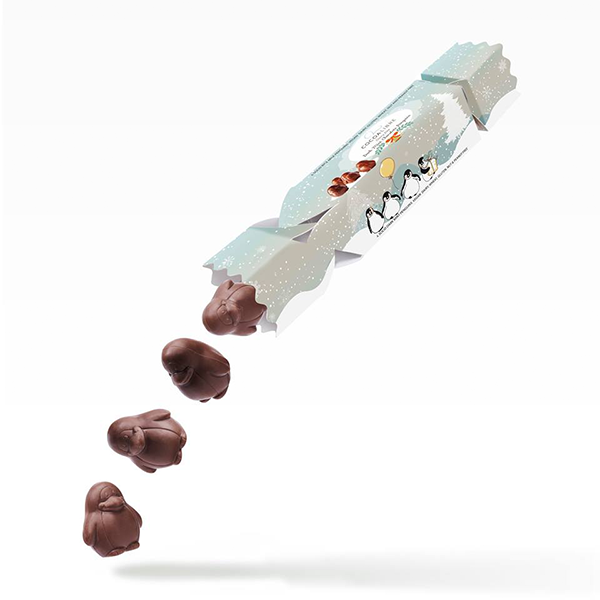 These popular little festive treats are smooth with no bitterness so children can enjoy them too. Perfect in a Christmas stocking or on the dinner table! Free of gluten, dairy, nuts, peanuts and wheat. Suitable for vegans and coeliacs.